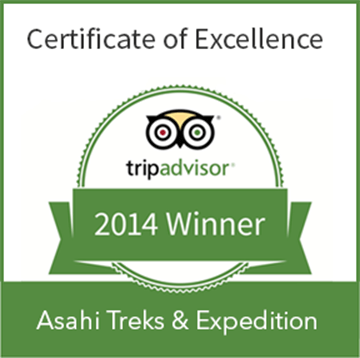 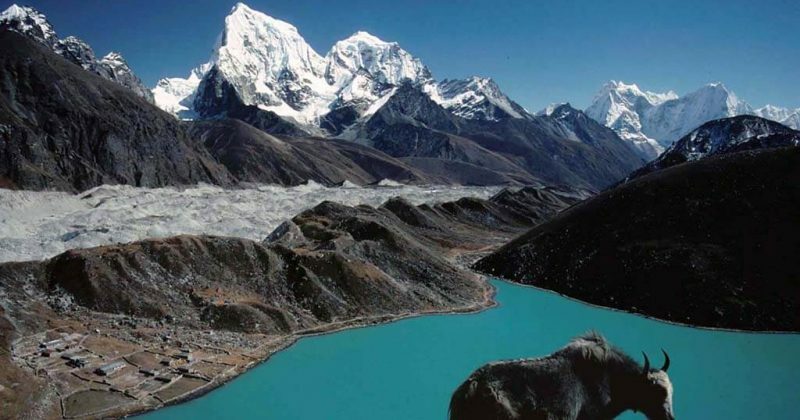 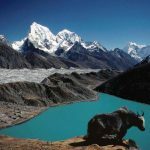 The Gokyo trek is a fairly popular trekking route. 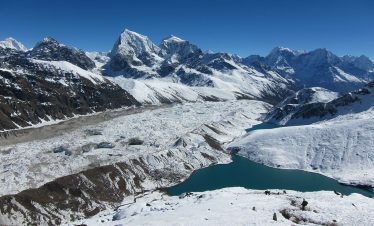 The route itself ends at Gokyo Ri, and trekkers typically turn around at this point and retrace their steps back to the trailhead. 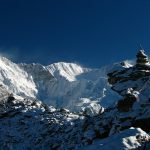 There is an alternative mountaineering route that begins near the southern tip of Ngozumpa Glacier and just south of Taujun Lake. 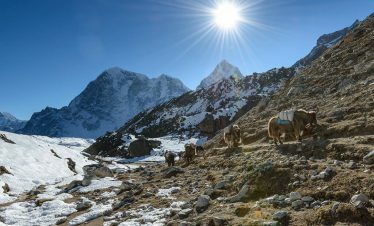 This alternative route leads east over the Cho La, a pass at 5420m (17 782ft), where it meets with the main Everest Base Camp trek. 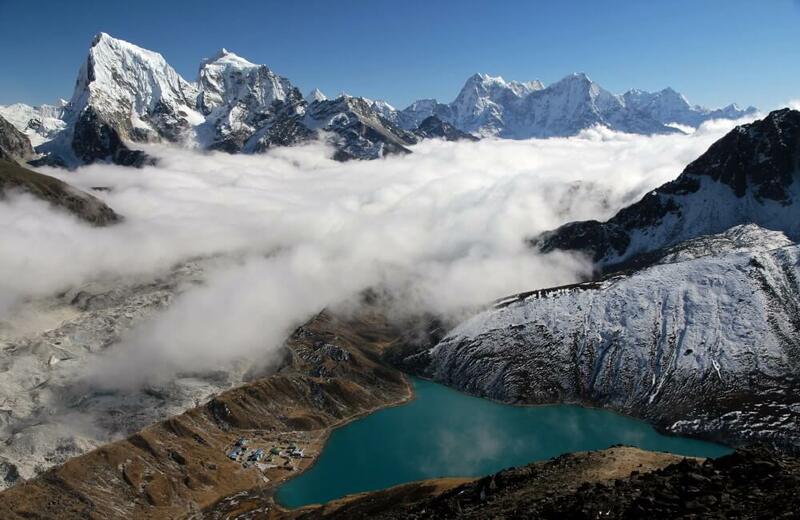 Gokyo Ri, Gokyo Peak (5357m, 17 575ft above sea level) is a peak in the Khumbu region of the Nepal Himalayas. 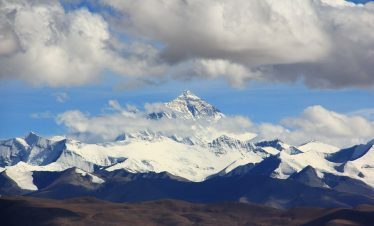 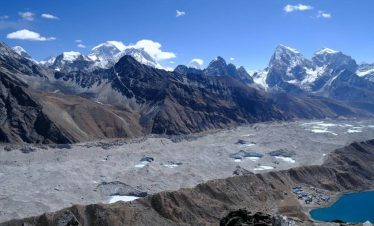 It is located on the west side of the Ngozumpa Glacier, which is the largest glacier in Nepal, and reputed to be the largest in the whole Himalayas. 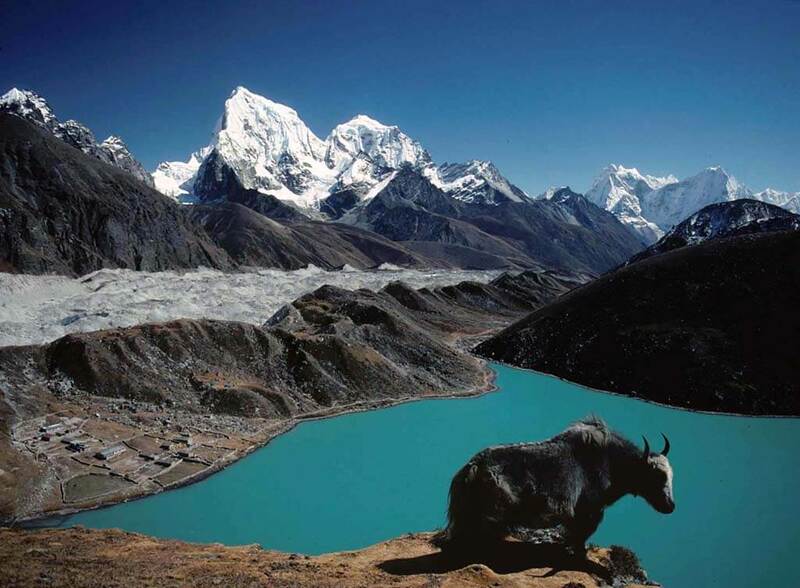 Gokyo (4750m, 15 583ft above sea level), at the base of Gokyo Ri, is a small hamlet of a few stone houses. 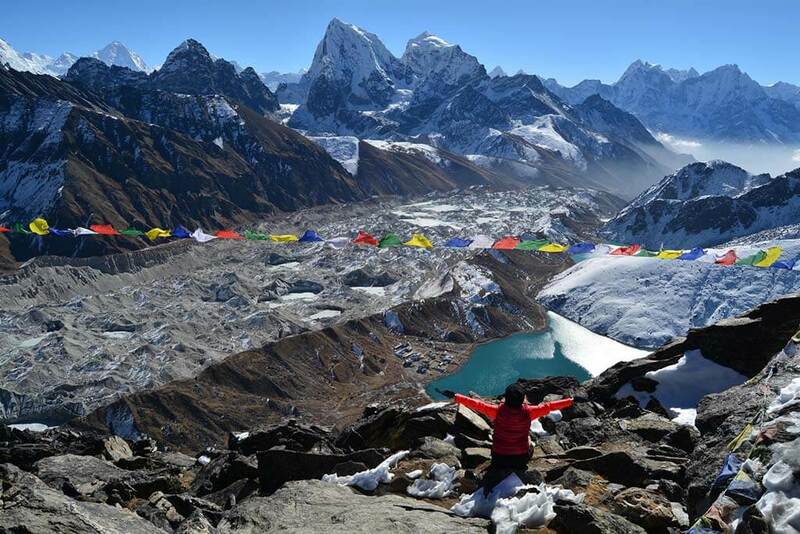 From Gokyo Ri it is possible to see five 8,000 meter peaks – Mount Everest, Lhotse, Makalu, Kangchenjunga, and Cho Oyu. 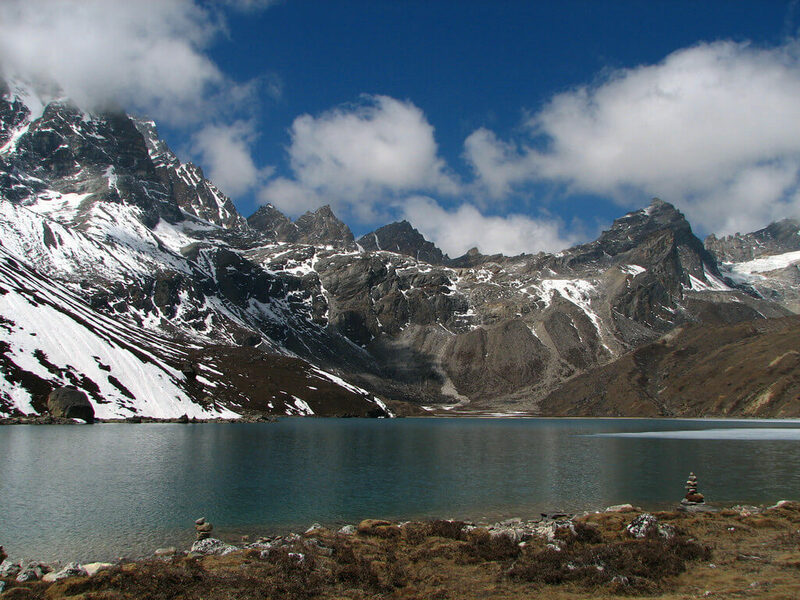 Day 03:Namche Bazar – Acclimatization day. 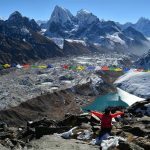 Day 04:Trek to Phorste Drengka (3675m).). 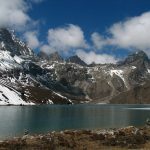 Day 05:Trek to Machherma (4470m). 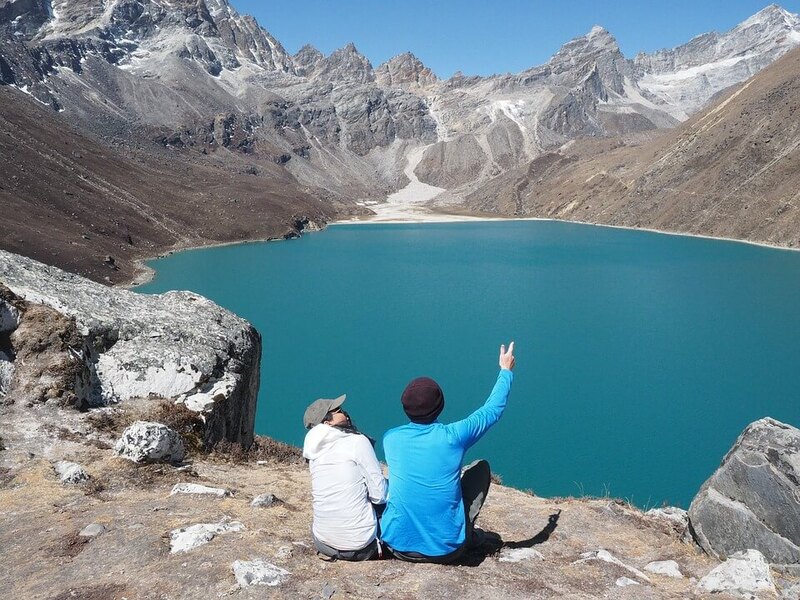 Day 06:Trek to Gokyo (4790m). 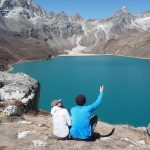 Day 08:Day trip to 4th Lake (4843m) and 5th lake – 4998m (north of Gokyo Valley), and back to Gokyo Lake. 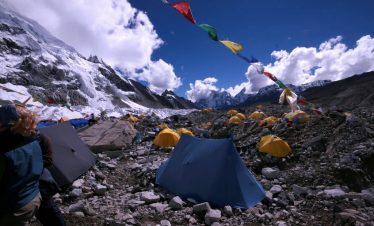 Day 09:Trek back to Dole. 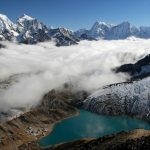 Day 10:Trek to Khumjung village, big settlement of Sherpa people. 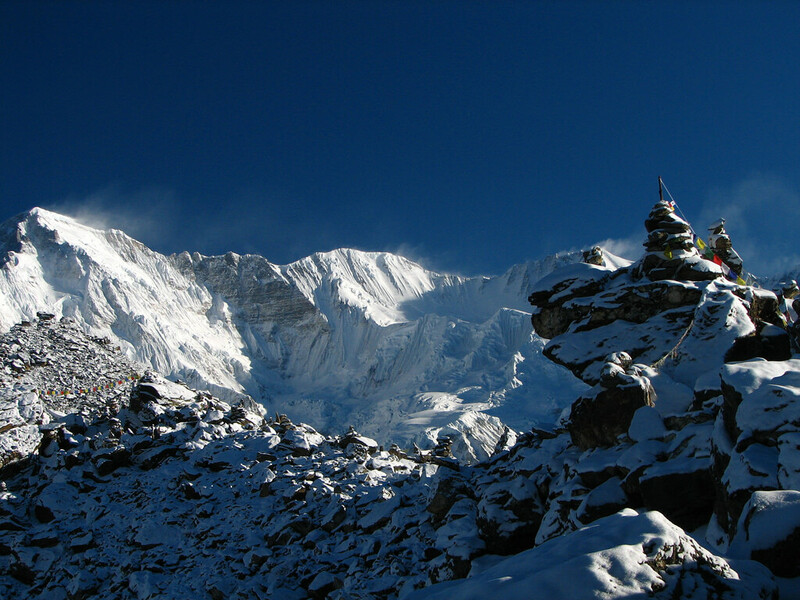 Day 11:Trek back to Lukla. 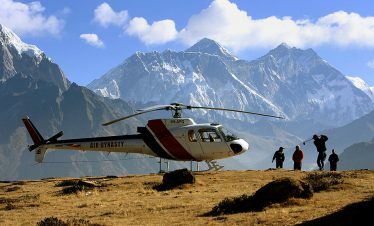 Day 12:Fly back to Kathmandu early in the morning.